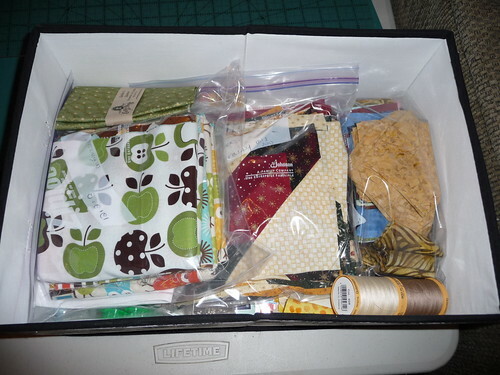 Packed for quilt retreat, a photo by wading moose on Flickr. 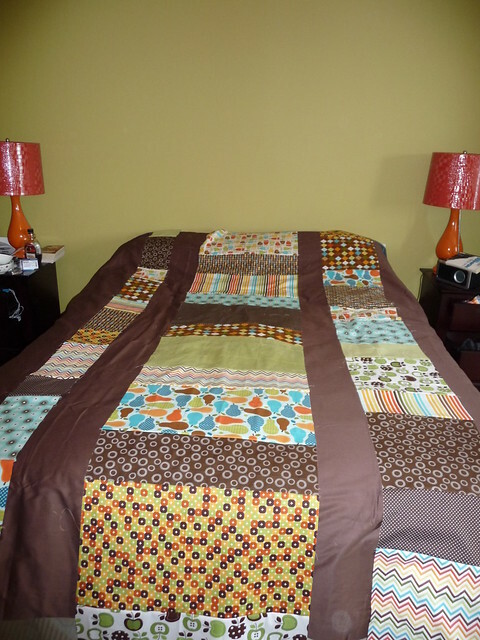 Off for the weekend to a quilt retreat. Here's my IKEA box packed up with three projects, a fat quarter for the giveaway and just a bit of thread. I do realize that three projects is a bit ambitious. To be honest, I've got three and I haven't a clue what I want to work on so there ya go. I wanted to pack my scrap basket as well, but I've convinced myself not to. Here's what I'll be working on. I need to move some of the gold around a bit, there will be a 2" red border and a 4" green border added to this. Just need to sew up the blocks and add the borders. Everything is cut out. This is going to be the bulk of my sewing for the weekend, I'm sure. All of that is folded up into a box from IKEA in that first picture. 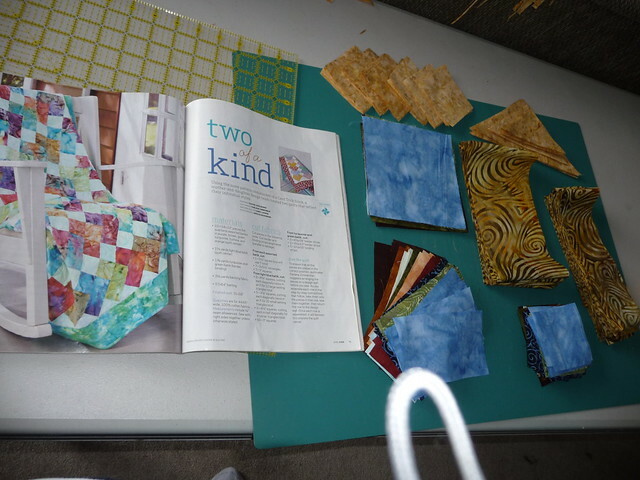 Each project has it's own bag and the pattern or the magazine is underneath. I feel so organized which means I'm going to forget SOMETHING important. 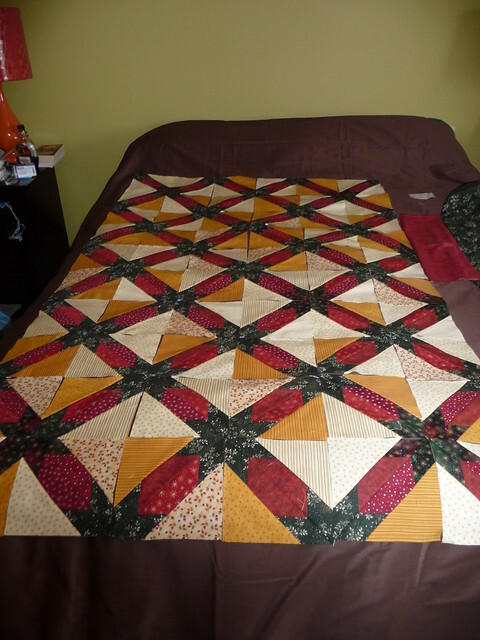 First stop tomorrow is a quilt shop to pick up a chocolate solid to finish off the Oh Fransson pattern. Then off I go. I'm going to a quilt retreat!